An easy hairstyle to try out on your lob. The easiest and perhaps fastest route to short wavy hair. 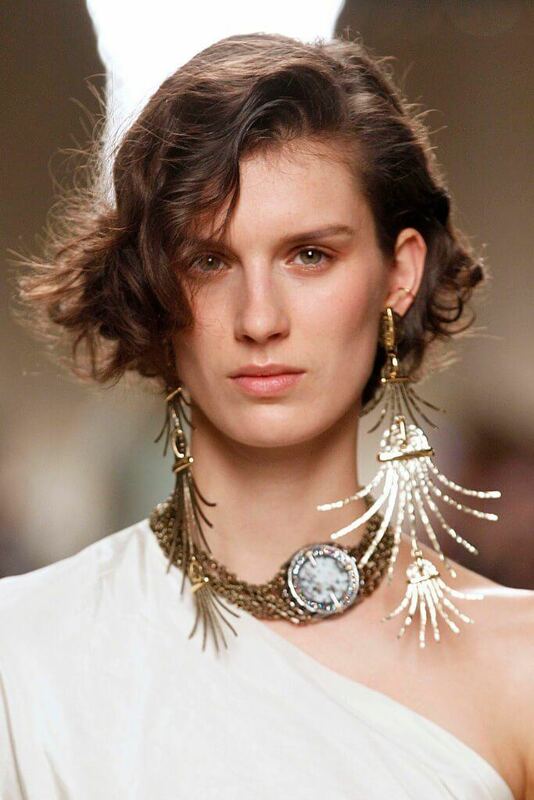 Looking for new ways to style your wavy short hair? We have you covered with a recap of some of our favorites! Do you sometimes find your short wavy hairstyles somewhat challenging to style? Not quite curly and not quite straight either, this in-between look might have you envying those pin-straight locks and bouncy curls. But what you probably don’t realize is that short wavy hairstyles can actually look just as sweet and fabulous in their own way—not to mention it’s a look that’s pretty hot right now. 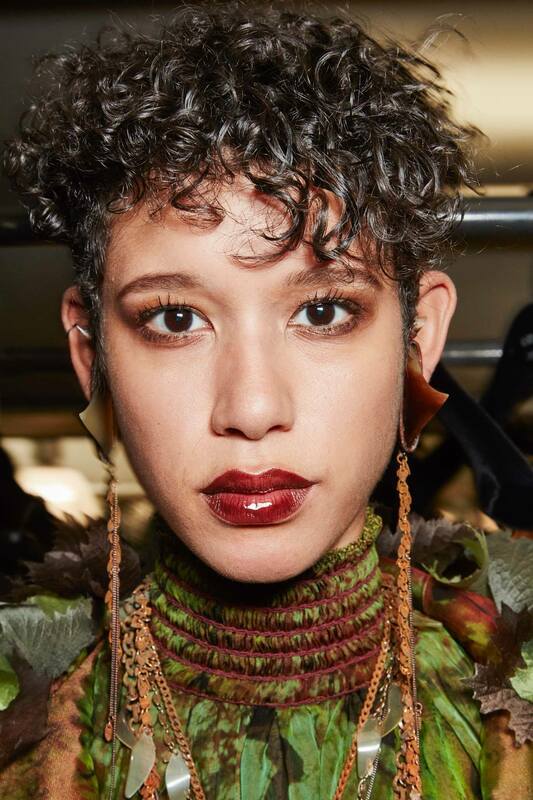 To help you figure out some new and pretty cool ways to style your hair, we’ve collected nine short hairstyles for wavy hair that are bound to help you mix up your look with ease. For a super-chill look, try your hand at a wavy style that’s effortlessly cool and easy to style. 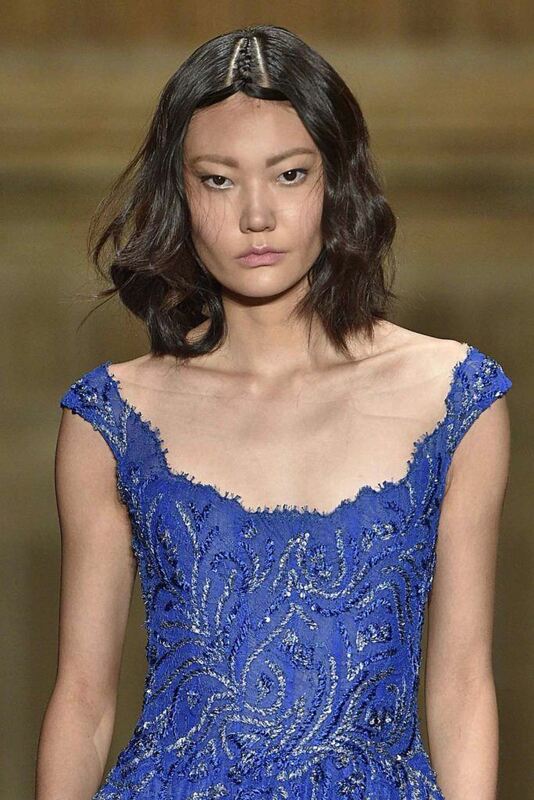 We love how this wavy short hair can be air-dried, creating an easy wash and go style that anyone can master! Whether you have somewhere to go or are just lounging with the girls, flirty, bouncy waves are always a good idea. To create this look, on second-day hair, refresh with Dove Refresh+Care Volume and Fullness Dry Shampoo. Prep your hair with a heat protectant, then use a flat iron to create your fun and flirty short wavy hairstyle. Remember to seal the deal with hair spray for a long-lasting style. 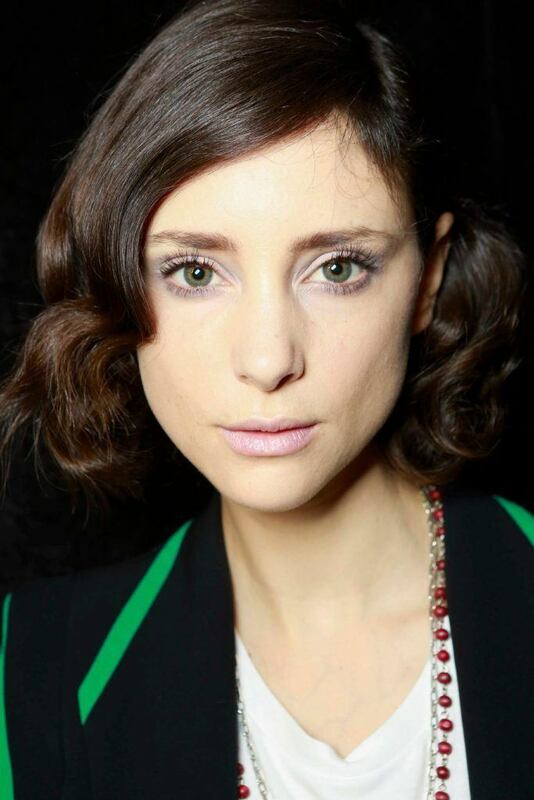 If you’re in the mood for a more polished look, consider wavy short hairstyles like the above. Nail this look by washing your hair with a hair care system that helps tame frizz, then apply your leave-in of choice. 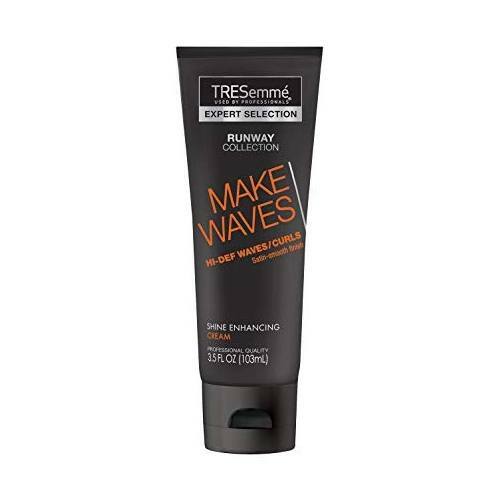 Then use TRESemmé Make Waves Defining Cream to create polished wave-like curls. 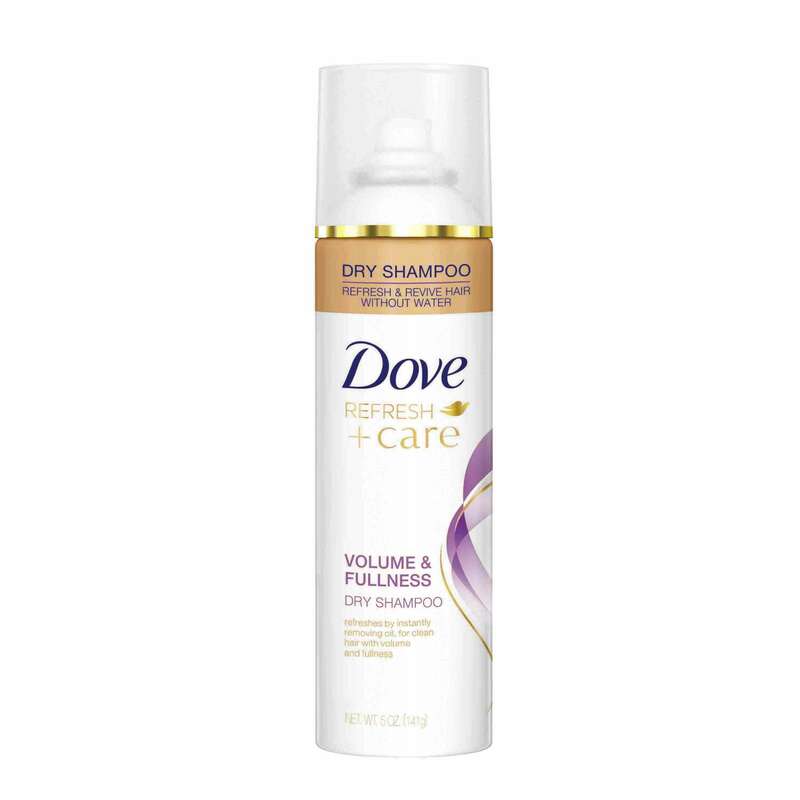 Diffuse your hair to dry and you’re all set. 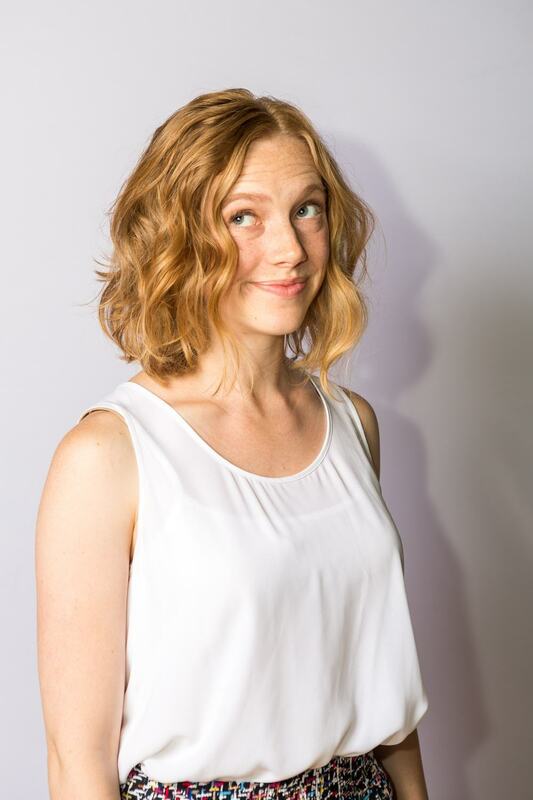 Bob haircuts can look really fantastic—and they don’t need to be super sleek and smooth to look stylish. When it comes to short wavy hairstyles, a softer, textured bob is definitely one of our favorite looks as it gives a more feminine and laid-back feel. Also, working in some subtle layers can really help to enhance fullness and movement, giving your mane a real style boost. Try it with a deep side part and a soft sweeping fringe, styled across your forehead, before working in some mousse to add body to your waves. 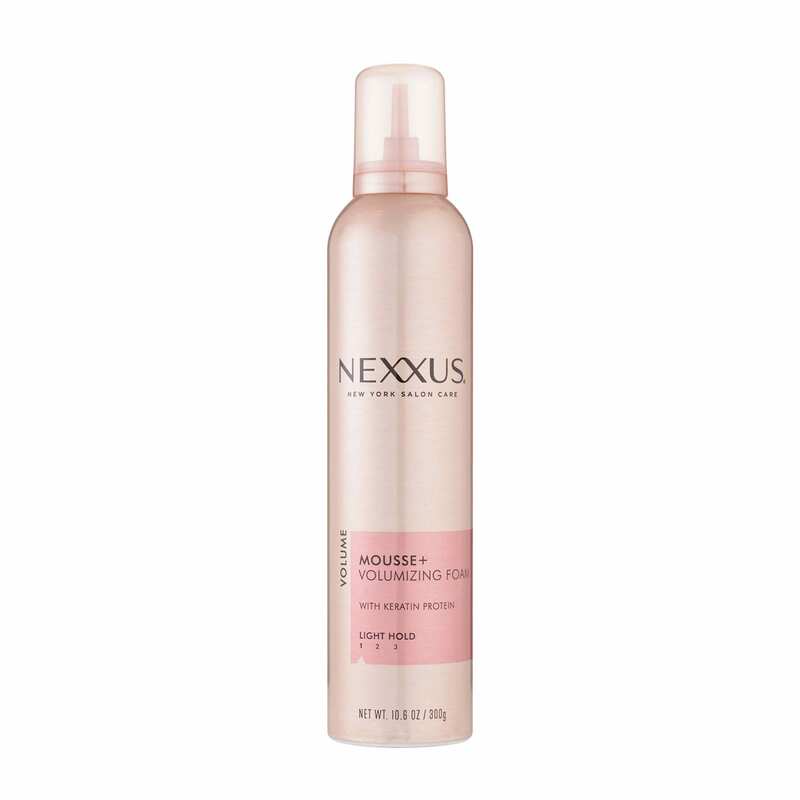 We suggest Nexxus Styling Mousse Plus for maximum body and fullness. A shag cut is a great way to enhance your naturally wavy locks and nail a trendy and textured effect at the same time. 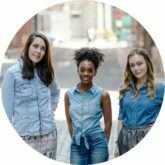 To create this hairstyle (best for those with medium to thick hair), add lots of layers at varying lengths to produce a lighter and more dainty, feminine feel. And don’t forget to pair it with a full, choppy fringe to perfectly complete the look. Want a cropped ‘do but worried about your voluminous mane? Say no more, because short hairstyles for thick wavy hair are easier than you think. 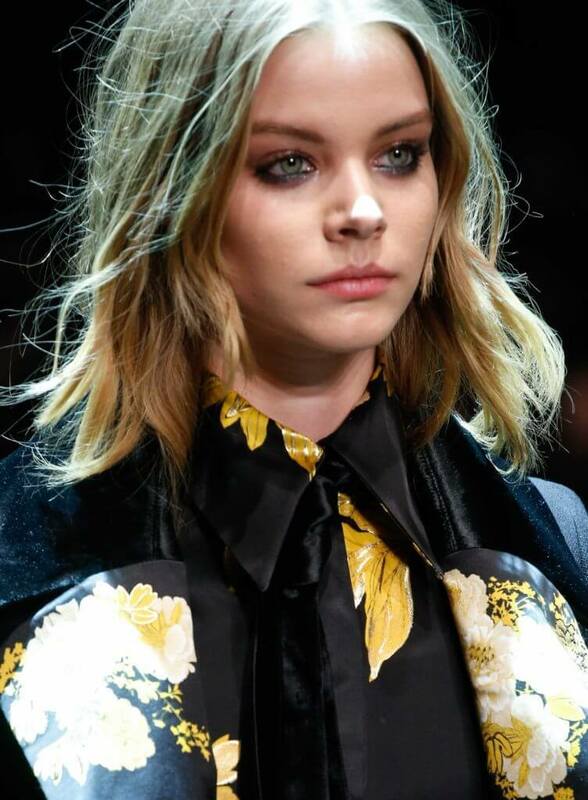 All it takes to transform your wavy tresses is to get yourself a long bob and add plenty of layers into it. Not only will this enable you to keep the length a little longer around your face, but it’ll also help to frame your pretty features, too. If you’ve got gorgeous soft waves, a grown-own pixie cut is a great option if you’re looking to go a little shorter. 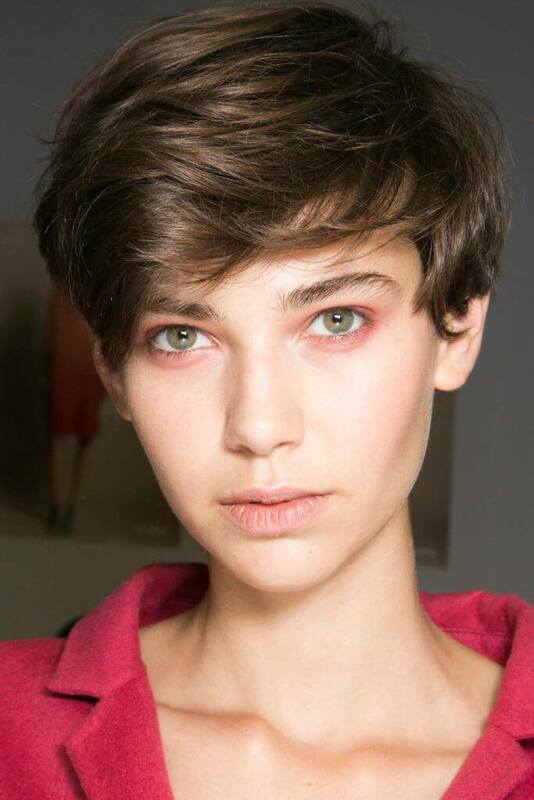 For a naturally-tousled pixie, scrunch in some gel and let it air-dry for a frizz-free, defined curls effect. Changing how you style your part can be a great way of mixing up short wavy hairstyles. 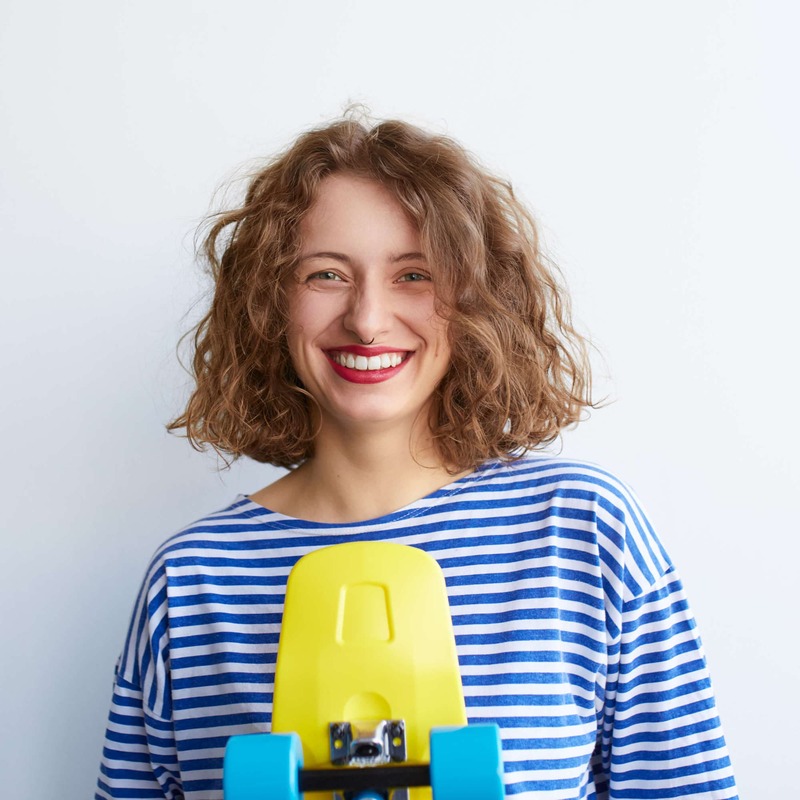 Swap your classic center part for a zig-zag to create a more relaxed, rock’n’roll-inspired look, or try a deep side part for a more dramatic and voluminous effect. It’s really just as simple as switching up how you normally wear your hair, creating a new, and somewhat dramatic style. Getting short haircuts for wavy hair might make you think that you’re limited in the styling department but you’re not! To achieve this unique unicorn braid style, brush your wavy lob or bob and part your hair down the middle. Create a small braid in the middle of your head that will go towards the back of your head, or upwards towards your crown. 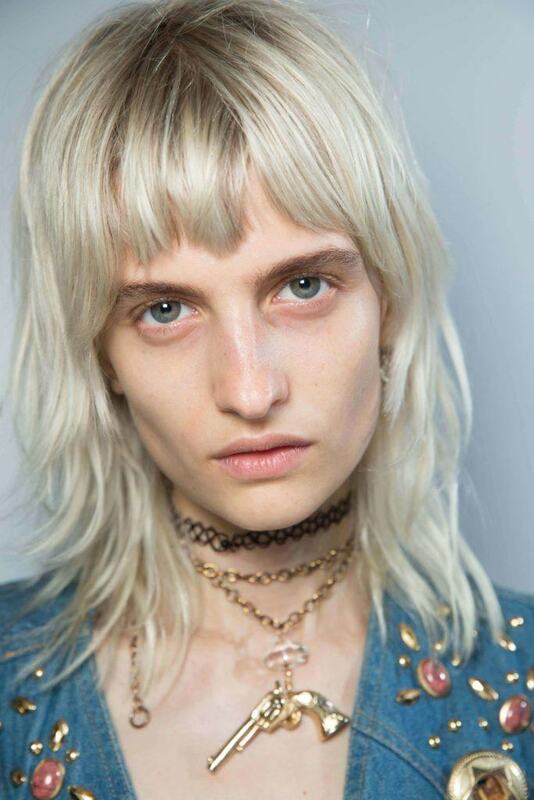 For an edgy effect, opt to leave out the end pieces of your hair to create quasi bangs, as seen above. Use your flat iron to create these easy and chic waves. With a little bit of practice and just a flick of your wrist, you can create these easy waves. Alternate the direction of each wave to create the most natural-looking texture.